The Union Cabinet on Wednesday approved the amendments that the Government is planning to make to the Whistle Blowers Act. The Act provides for safeguards against disclosure of information that may "affect the sovereignty, integrity and security of the country." Reportedly, the cabinet also okayed amendments that are similar to safeguards relating to disclosures that have already been exempted under the Section 8(1) of the Right to Information Act. However, the government’s move has seen opposition from anti-corruption activists who are voicing their claim that if such a law is made then sharing of information with respect to sectors like defence and scientific ministries may get exempted. The Whistle Blowers Act was passed last year and has also received the assent of the President but is yet to be notified as the present government wants to incorporate the amendments before notifying the statute. It was the UPA government that had introduced the Public Interest Disclosures and Protection to Persons making the Disclosures Bill in the Lok Sabha in August, 2010. The Bill was passed by the LokSabha in December 2011 and later by the RajyaSabha in February 2014. The Bill received President's assent in May 2014. The Act has been made to protect 'anyone who exposes alleged wrongdoing in government bodies, projects and offices.' It is expected that the government will move the Amendment Bill in Parliament this week. 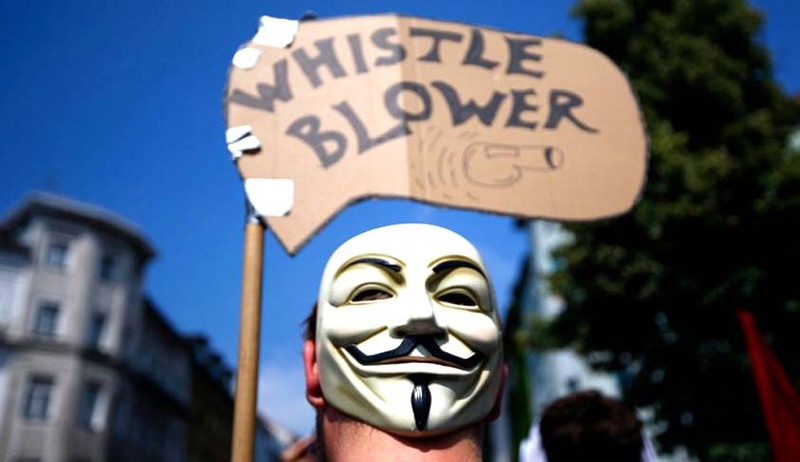 You may read more of LiveLaw’s coverage on Whistle Blowers here.